One of the best ways to protect your family from EMF pollution is a bed canopy that greatly reduces microwave radiation exposure. I have used one for five years and it has significantly improved my sleep and severity of headaches. Our best and most recent research also proves that wireless technology affects sleep quality in some people. If you live near a cell phone tower or in an urban environment near wireless “smart” meters and Wi-Fi routers, a canopy is an excellent investment in your health. Shielding Required: The closer you live to a cell phone tower or other wireless transmitters, the stronger the shielding should be. Fabric Preference: The Swiss Shield Daylite fabric is more breathable than the Naturell. The Naturell fabric provides better shielding (40 dB reduction). Fabric Material: The Daylite is polyester, while Naturell is ecological cotton for those that are sensitive to chemicals. The Dream Canopy is silver coated nylon. Shielding Underneath the Bed: This is required otherwise microwave radiation will leak under the canopy. The Naturell fabric has the best shielding capability. With the new 4G cell towers sprouting up, this is important. Canopy shields both microwave radiation from wireless technology and electric fields / “dirty electricity” radiating from wiring. This canopy is make of ecologic cotton, so there are no chemicals/pesticides. With the straight sides, your child won’t be touching the canopy while they sleep. There is some evidence that touching the shielding material will leak in RF. You can find this bed canopy through Radmeters or Safe Living Technologies (I discuss here how you can get a 10% discount on your Safe Living Technologies bed canopy purchase). 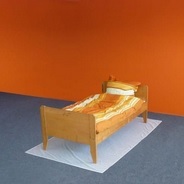 Be sure to get the sheet that goes underneath the bed to create a full enclosure. There is a new product for travelers who often stay in hotels called the “Dream Canopy“. This is slightly cheaper than the Daylite pyramid canopy below, but has excellent shielding capability and packs to the size of a sweater in your suitcase. You can also try the BlocBag, which is a sleeping bag that reduces RF exposure. The Dream Canopy is a convenient option if you have to travel a lot for work. For the above Dream Canopy and the Swiss Shield Daylite Canopy seen below, you can get a patio umbrella stand to hang the canopy. This works well if putting a simple hook into your ceiling is not practical/possible. This bed canopy uses Swiss Shield New-Daylite material and is used for a queen-size or king-size bed. Polyester material that is breathable.It can be found here for $966. Shielding material for under the bed can be found here. Bed canopy with Swiss Shield Daylight fabric. I have used this bed canopy for 3 years and it works very well. Easy to travel with (helps with hotels).It can be found here for $1099. Shielding material for under the bed (only shields RF and electric fields) can be found here. 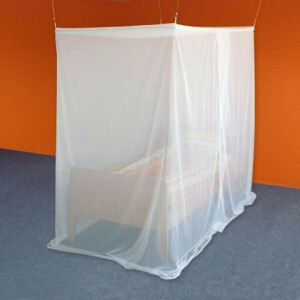 Naturell bed canopy with very high shielding capability. This is the most effective bed canopy available. The material is less breathable, but is made from ecological cotton.It can be found here for $1260. Special Note: If you would like to purchase a Naturell or Daylite Canopy that has the exact dimensions for your bed, I recommend that you go with Safe Living Technologies in Toronto. 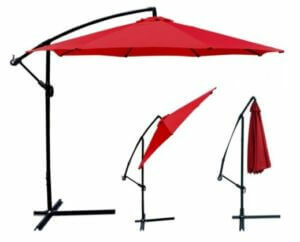 They have a bigger selection of sizes and you can get a 10% discount on your canopy, which I explain how to do here.